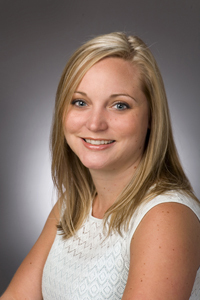 GAINESVILLE, Ga. – Shaena Blevins, MD, a neurologist with Northeast Georgia Physicians Group, has been named medical director of the Neurophysiology Lab of Northeast Georgia Medical Center (NGMC). As medical director, Dr. Blevins will provide the medical direction of the clinical practices of the department; work with the department director and staff to guide and maintain quality standards; and serve as the liaison for the department to the medical staff at large. Dr. Blevins received her medical degree from Emory University in Atlanta. She completed her internship and residency in neurology at Emory University Hospital. Dr. Blevins is certified by the American Board of Psychiatry and Neurology and is a member of the American Academy of Neurology. The Neurophysiology Lab of NGMC uses digital equipment to perform electroencephalograms (EEG), ambulatory EEGs, electronystagmograms (ENG), electromyography/nerve conduction studies (NCS/EMG), brain auditory evoked potential (BAER. ), visual evoked potential (VEP) and soon will be adding continuous ICU EEG monitoring. The Neurophysiology Lab of NGMC is located on the Main Campus of NGMC. Services are offered Monday- Friday, 8:30 a.m.- 4:30 p.m. For more information or to schedule an appointment, call 770-219-7666 or 770-219-3543.